Welcome to Custom Carpets & Furniture... Service you can stand on! Berber carpet is named after a handmade, bulky wool carpet made by the Berber tribes of North Africa. The term Berber is applied to carpet that has the off-white, heathered look of cloaks used by these tribes of North Africa. These carpets use flecked yarns most often in loop styles. The size of the loops varies from large nubby ones to smaller styles. Patterned styles of this type of carpeting are multi-level-loop as well as cut-and-loop designs. Other styles are also available in pastels and dark tones as well as naturals. 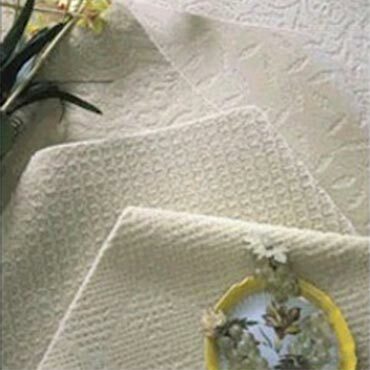 Wool carpet is non-toxic, non-allergenic and will not support bacterial growth. The crimped wool in this particular manufacturing process, forms millions of air pockets that act as insulators and help regulate room temperature and reduce energy bills. This type of carpet is easy to clean and durable, yet soft to the touch. Berber carpet is increasing in popularity faster than any other type of carpet. It has the very desirable feature of limiting footprints and vacuum tracks. They tend to have thicker yarns than other level loop pile carpets. These loops can retain dirt and may be damaged from snags. The choices are endless as this carpet style comes in expensive wool fibers or less expensive nylon, olefin, or nylon-olefin fibers. Many Berbers are multilevel loops. Multilevel loops have many advantages over level loops and offer pattern and random effects. These styles range from casual to ultra-elegant. The Sisal Looks, in subtle combinations of herringbone, basketweave and ribbed patterns are a natural complement to neutral, natural colors and combine well with natural materials such as wood, wicker, and terracotta. Berber offers excellent durability, while lending its own distinct character to any room. It is easy to clean. From casual comfort to formal elegance, Berber is suitable for any room in your home. It makes a great choice for your home, and will add a look of understated elegance to any setting. For 87 years, the Couristan brand has been revered as an icon of style and quality for its exquisite area rugs, wall-to-wall carpeting and custom floorcovering fashions.